There are a lot of things to love about breastfeeding, but one thing I didn’t particularly care for was just how much time I spent doing it at the beginning. A fellow Stroller Strides mama is expecting her second baby any day. I wanted to give her something I knew she would use. 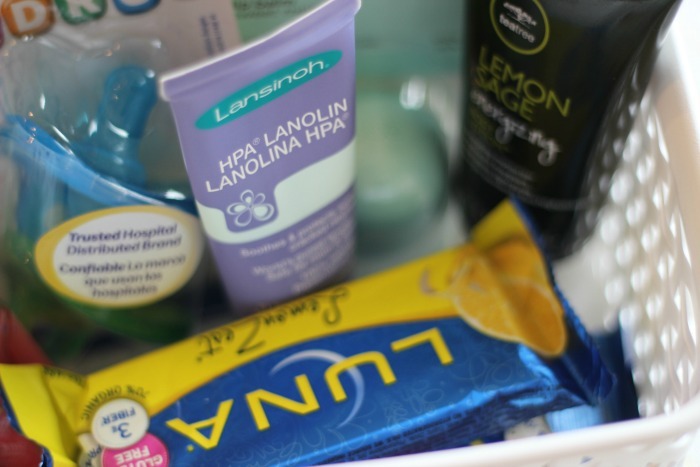 I remembered how much I loved having some essentials close at hand, like a glass of water and lip balm, when I was in the middle of a marathon nursing session with my own newborn, so I whipped up this little breastfeeding nursing basket for her. As long as she has her iPhone handy, she should be all set for cluster feeding! This basket was fun to put together; it might become my go-to baby shower gift. 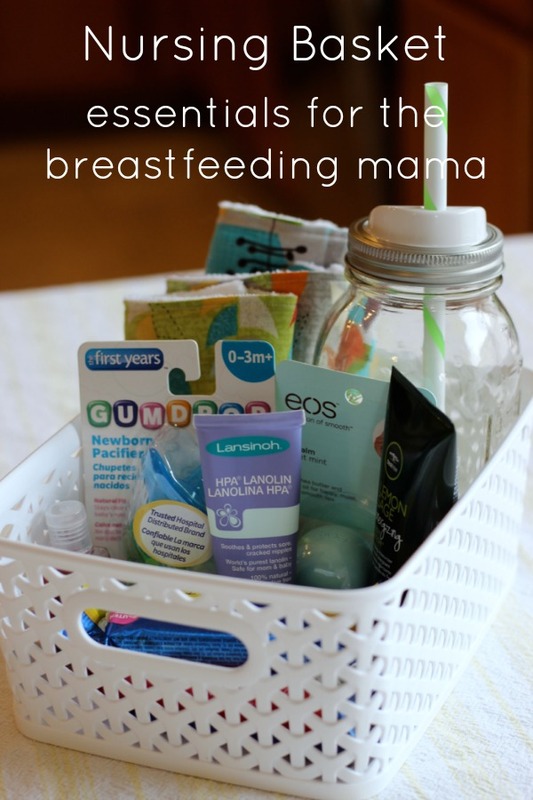 For a first time mom, I would also add a copy of The Womanly Art of Breastfeeding and Ina May’s Guide to Breastfeeding, both of which are fantastic resources for any just about any breastfeeding issues you might come across.